Below is a complete list of all SOLE PRODUCTIONS, INC. films. Included is the story synopsis and movie credits for each film. DVDs of each film can be purchased with PayPal. Mind Over Mindy addresses the issue of regret and how living in the past can ruin the future. 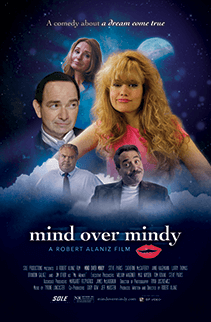 Mind Over Mindy is the story of Tom, who in the 1980s endured a very traumatic breakup with Mindy, his first fiancée. Since then, Tom has managed to sabotage every marriage opportunity that came his way. Now in his 40s and on the verge of yet another disastrous engagement, Tom agrees to meet with his fiancée’s therapist, hoping to finally get to the root of his troubles and save this relationship. However, things get really complicated when the teenage Mindy of the 1980s, who Tom still dreams of constantly, materializes from his thoughts and into to the 21st century. Not yet available for purchase. 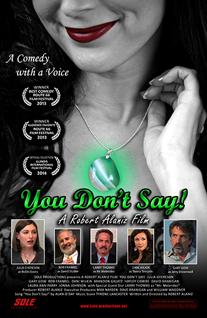 A successful career woman gets caught up in a comedic whirlwind of events, when a mystical necklace given to her as a gift from her boyfriend may be causing her to uncontrollably speak her mind in the politically-correct world of corporate business. 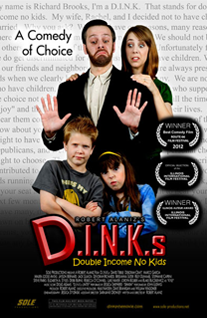 When a childless freelance writer, who lives with his wife in a predominantly family-oriented suburb of Chicago, decides to write articles about discrimination against married couples without children, his career skyrockets him to local fame as the leader of a citywide D.I.N.K.s movement that suddenly lands him in court for slander when one of his articles involves the town’s Mayor. 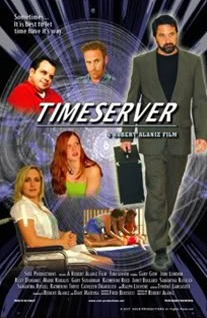 When Adam Taylor (Gary Gow), a self-centered memorabilia dealer (who believes he can travel through time) meets a handicapped woman in a wheelchair, he learns compassion for those that time has left scarred for life. As a rival dealer tarnishes his reputation, Adam is suspected of mail fraud and is shadowed around town by a mysterious young woman who may or may not be working for the Attorney General's office. In the end, things may not be what they seem, when the truth about Adam's past (and future) come back to haunt him in a bizarre twist of fate. 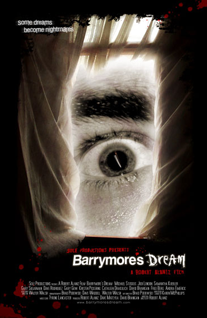 Michael Barrymore (Michael Stoskus) is an ordinary man with an extraordinary ability - astral-projection (the ability to travel through time, space and dimensions within his dreams). His life is drastically changed when he falls in love with Angela Thomas (Jodi London); a beautiful heiress whose Father (Dave Branigan) is a wealthy industrialist. Out of the past, Angela's estranged ex-husband Dwayne De Marco (Gary Sugarman), who was tried for murder but acquitted, returns complicating Michael and Angela's liaison. As Angel's ex-husband gets closer to her, Michael fears that his dreams may actually be that of Angel's death at the hands of her psychotic ex-husband. What follows is a twisted compilation of events that lead to a shocking and surprising conclusion. 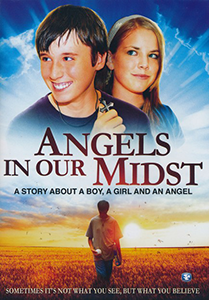 A story of divine intervention where a young girl Suzy (Therese Boyich) must come to the defense of a deeply traumatized boy named Tobey (Ryan Sotzen), who has created his own world where he believes he is protected by a guardian angel, when he is forced to stand up to the junior high school bully, Jim Doder (Matthew Vuckovich) and prove his innocence after being falsely accused of being an accomplice in a botched robbery attempt. SOLE PRODUCTIONS presents A Robert Alaniz Film ANGELS IN OUR MIDST Ryan Sotzen Therese Boyich Matthew Vuckovich Gary Gow Katherine Trost Samantha Kuebler Ellen Hogan Clayton Carr Christopher Casper Maura Antas and Amanda Littleton as "Tess" Producer Robert Alaniz Associate Producer Dave Mateyka Music Score Doug Adams Songs Lori Anderson Written and Directed by Robert Alaniz Distributed by Bridgestone Multimedia Group. When an over ambitious reporter stirs up an old controversy surrounding a series of unsolved murders, a clairvoyant teenage girl and her friends enlist the help of a college professor with a plan to expose the identity of the killer, when it is believed that the young girl's reoccurring vision of the future may be the murder of the professor. Copyright © 2014 | Sole Productions, Inc.